ASUS has proved to be an excellent tablet maker with its Transformer series of Android tablets and its Google Nexus 7 tablet. The enhanced productivity that the Transformer Pad keyboard dock offered was very alluring, and has been a good selling point for ASUS. Now with the new promises that Microsoft's new Windows RT platform offer, ASUS took the lead in being Microsoft's first launch partner for the Windows RT platform, releasing the VivoTab RT alongside Microsoft's own Surface tablet. The VivoTab RT takes everything people love about ASUS tablets (thin, and light design, fast performance, etc) and puts it into the Windows RT platform. Who can deny it? ASUS has a knack for well-finished metallic designs. We've seen this with the Transformer Pad Prime and Infinity. The VivoTab RT has a simplistic, yet amazing metallic back cover. 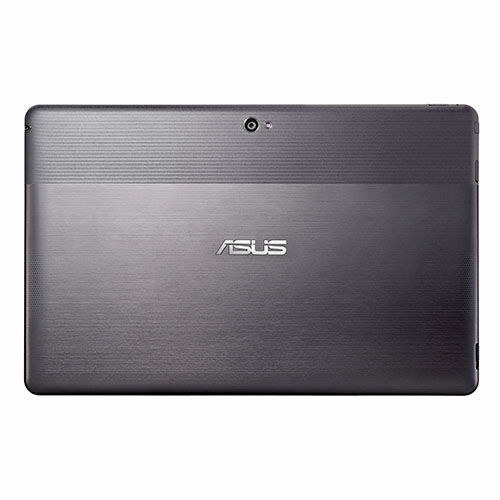 Another thing ASUS is known for is having the thinnest and lightest tablets in the market. The VivoTab RT, together with the Transformer Pad Prime, are the thinnest 10-inchers ever seen, measuring a svelte 8.3mm thickness. Also, the VivoTab RT sets a new benchmark for tablet weight. Weighing an astounding 525g, the VivoTab RT is by far the lightest 10-incher ever. You may like it or not, but ASUS definitely has a unique skill for design. Sure, the VivoTab RT has a substandard resolution for a tablet. Its pixel density doesn't compare to the iPad's Retina Display and the Google Nexus 10's 2560 x 1600 display, so text isn't as sharp, and pictures are not as clear. Don't be so quick to judge the VivoTab RT's display as horrible, though, because colors are vivid, thanks to ASUS' TruVivid technology, and the Super IPS+ technology (a speciality of ASUS' tablets) boosts brightness to a whopping 700nits, making the display, to some extent, outdoor readable. If you care a lot about the display, keep in mind that the VivoTab RT's screen isn't very good. 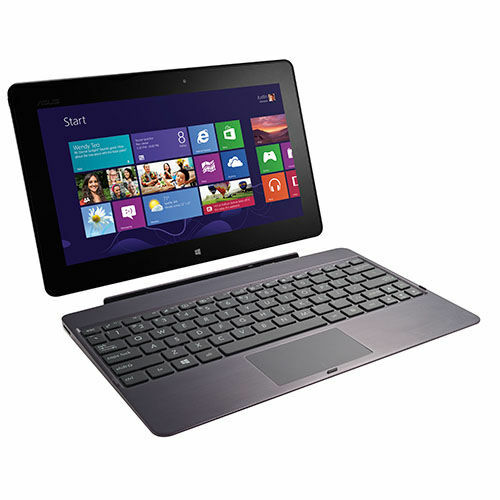 The VivoTab RT, just like the Microsoft Surface and most other tablets, uses the NVIDIA Tegra 3 chipset. 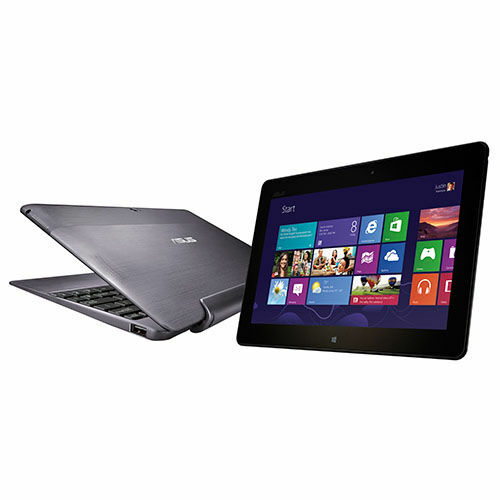 Specifically the two Windows RT slates use the T30, which is the mid-range Tegra 3. CPU performance is excellent, and graphics and memory performance is average, but in any case the Tegra 3 is well-prepared to take on the Windows RT's UI smoothly. I personally think that the choice of using the Tegra 3 was foolish for both Microsoft and ASUS, since that SoC is practically aged and its momentum has already faded. It would've been a much smarter choice to use a Qualcomm Snapdragon S4 Pro quad-core SoC, which is one of the fastest. The Tegra 3 just can't compete with what Google and Apple are offering on their latest slates. The VivoTab RT is currently the best Windows RT tablet (yes, in overall it is better than the Surface), however, both this slate and the Windows RT platform itself are quite premature. This, of course, is expected, since Windows RT is a brand new and fresh platform. Currently there are very few apps on the Windows Store, but given the success that this platform is promising, developers should start giving Windows RT attention. For now, Windows RT is a bad platform, but that's something that I'm confident will change eventually. The VivoTab RT doesn't have the best display, nor the best performance, but I believe that it certainly has the ability to compete with Apple and Google's offerings.